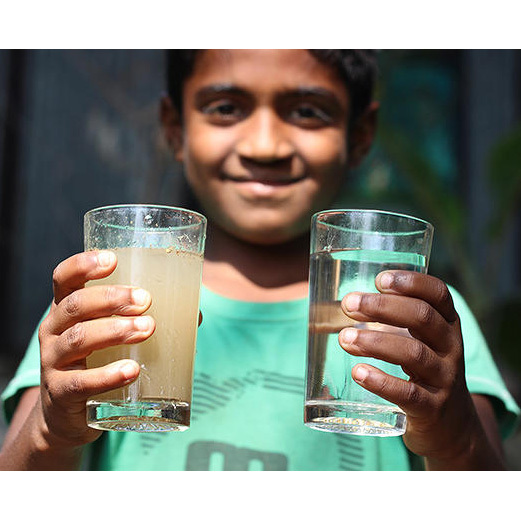 Hundreds of millions of people around the world depend on polluted water sources for their daily drinking water. Over half of the planet’s population lives in cities. Large cities, alone, represent $21.8 trillion (US$) in economic activity, or 48 percent of global GDP *. As the population in cities continues to grow, without adequate infrastructure improvements, this drinking water, which is both bad in quality and unreliable in availability, will affect the health and well-being of a large portion of our planet’s future inhabitants. While this may not yet be a “Hunger Games” or “Mad Max” scenario, the importance of clean drinking water and the requirement for infrastructure investment to get it, is clear. Capital investment as well as land use policy changes (agricultural best practices, for example) are essential. The Nature Conservancy (TNC), a leading conservation organization working around the world to protect ecologically important lands and waters for nature and people, has issued a fascinating interactive report on water quality around the world. At this website, Water Blueprint, find a city, find the specific risks to drinking water in that city and the likely solutions to mitigate those risks. Boston, Bogota or Bhubaneswar, the data is there. Solution categories include: agricultural best practices, riparian restoration, forest protection, reforestation and forest fuel reduction. Download the full document for more information. economics of treating water in a utility. regardless, large watersheds tend to require a greater area of conservation activity. working with many small private landowners can be prohibitive. to pay for watershed protection increases with the number of customers. to be a smart investment for a utility. treatment costs by 5 percent, although for individual water utilities this figure may be much higher. treatment costs by 5 percent on average is a conservative one.